Produced in conjunction with the exhibition Teotihuacan: City of Water, City of Fire at the de Young Museum in San Francisco, our Teotihuacan Minecraft map was created using detailed archaeological maps, aerial and satellite photography, and even Google Street View. The map, created by a student youth volunteer with input from exhibition curators, allows visitors to virtually experience Teotihuacan in an interactive, first-person experience that effectively communicates the size and scale of this ancient Mesoamerican metropolis. The Minecraft map re-creates the downtown area of Teotihuacan around the Street of the Dead, and includes major landmarks like the Moon Pyramid, the Sun Pyramid, the Feathered Serpent Pyramid, the Ciudadela, the Palace of Quetzalpapalotl, and more. Players can explore reconstructed buildings containing apartments, temples, and workshops. 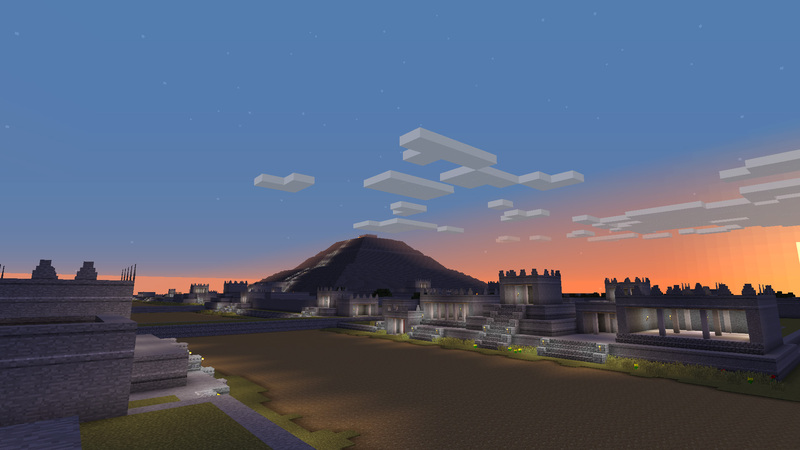 An included resource pack contains custom textures that transform the Minecraft environment into a realistic representation of Teotihuacan.